We provide counseling and advisory services to hospital governing boards and medical staffs on all phases of the credentialing, privileging, peer review and corrective action functions of the medical staff. We also have extensive experience with drafting and revising medical staff bylaws, rules and regulations, and policies and procedures, as well as working with hospital and medical staff leadership to address accreditation issues related to medical staff matters. The governance of hospitals and health systems requires specialized expertise for board members, whether non-profit trustees or for-profit directors. This is especially true of the governing body’s responsibility for quality and safety, necessarily delegated to the medical staff. The unique relationship between hospitals and their medical staffs involves and implicates several state and federal laws, and is centered on the organization of the medical staff as a self-governing body, accountable to the governing body of the hospital. All final decisions about the granting, limiting and removal of medical staff membership and clinical privileges therefore must be approved by the governing body. We provide counseling and advisory services to hospital governing boards and leadership on all phases of the credentialing, privileging, peer review and corrective action functions of the medical staff. We have extensive experience with drafting and revising medical staff bylaws, rules and regulations, and policies and procedures. We also work with hospital and medical staff leadership to address accreditation issues related to medical staff matters. Ensuring compliance with the requirements of the Health Care Quality Improvement Act, including the requirements for reporting to the National Practitioner Data Bank (the NPDB), and with state laws governing hospital medical staff actions requires a broad base of experience to properly interpret the regulatory and sub-regulatory guidance in this area of law. By taking an experienced approach to the overall relationship between the hospital and its medical staff, we help clients avoid civil litigation, regulatory enforcement actions, and accreditation sanctions. 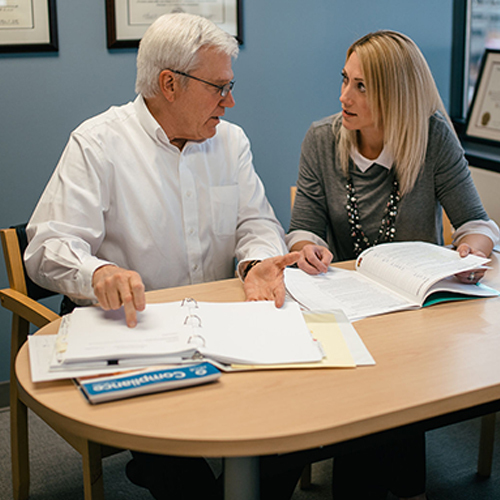 We provide hearing officer services for facilities who may not otherwise be our clients, but who need expertise in managing a fair hearing and appeal process requested by a member of the professional staff.